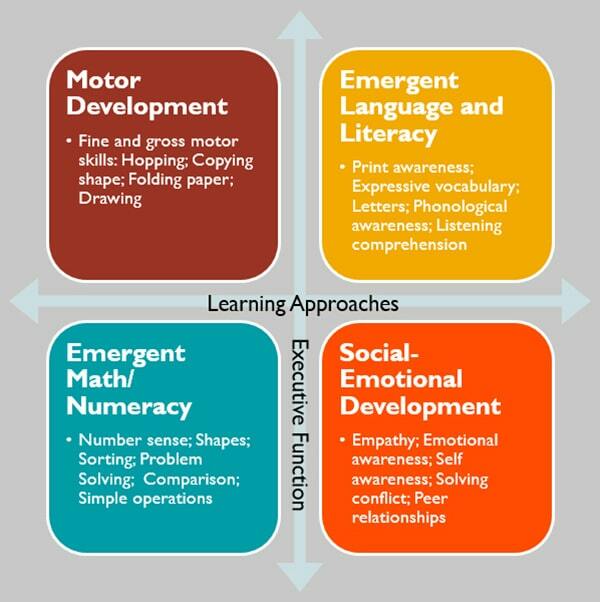 The first years of life are critical in shaping children’s cognitive, social and language skills, as well as their lifelong capacity for learning. Early development and learning experiences determine future success in school and in life. Early Childhood Care and Development (ECCD) programs ensure healthy development in young children to enable them to reach their full potential. Would you like to document the impact of ECCD programs? What skills do children bring to school on their first day? Are there accessible and reliable tools to measure children’s development and early learning? How can ECCD programs boost equity? The International Development and Early Learning Assessment (IDELA) is an easy-to-use, rigorous global tool that measures children’s early learning and development. IDELA provides ECCD programs, donors, and government partners with evidence on the status of children aged 3.5 to 6 years. Save the Children is committed to implementing effective programs grounded in strong evidence. Few international tools can measure the impact of ECCD interventions across various settings. In 2011, based on lessons learned from years of early childhood programming and a comprehensive review of existing child development assessment tools, Save the Children began the process of creating and validating IDELA. The result is a tool that is easily translated and administered in low-resource settings and which has strong reliability and validity. Add-on items to the core IDELA assessment measure inhibitory control, memory, and children’s learning approaches. To date, IDELA has been used in over 40 countries to successfully evaluate ECCD programs and provide reliable information to programs, communities, donors, and government partners. Evidence on child outcomes supports continuous improvement and highlights strengths and weaknesses in ECCD programs. IDELA captures age variation, equity factors, programmatic impact and quality across different types of interventions. A series of analyses were conducted using data from 11 countries and 5,300 children to test item integrity and the strength of domain-specific subscales within the assessment. The full assessment and all subscales had strong internal consistency. 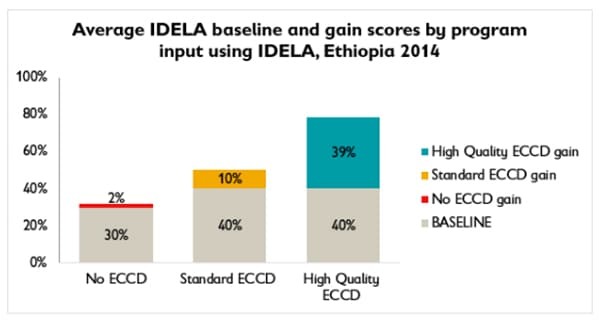 Further exploratory and confirmatory factor analysis conducted by researchers at the Transforming Interventions Effectiveness and Scale (TIES) Center at New York University using an IDELA sample from Ethiopia confirmed the presence of an overall factor and four strong sub-factors. Data from different countries shed light on the skills children bring to school and areas where stronger program inputs are needed. This information can help governments and programs monitor progress towards ECCD goals and highlight effective initiatives for young children.